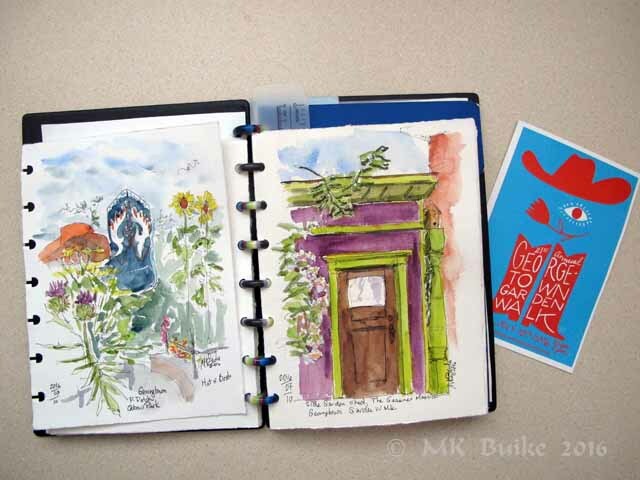 Once again we joined the Georgetown Garden Walk. It was cooler than last year yet I didn't get to many gardens. 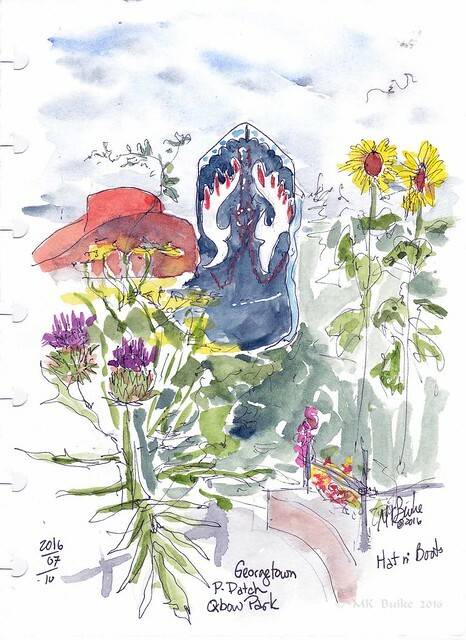 I wanted to sketch a different view of the Hat n' Boots in Oxbow Park, as seen through the Georgetown P-Patch. 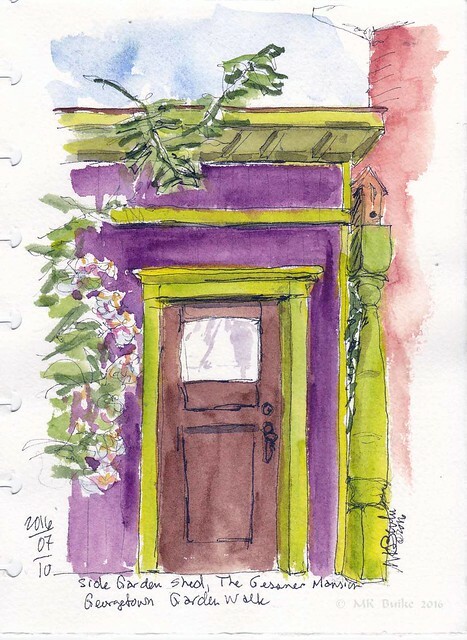 Then just across the street to the Gessner Mansion to sketch the wildly purple garden shed. I wanted to sketch it last year but the area was a little "over populated". 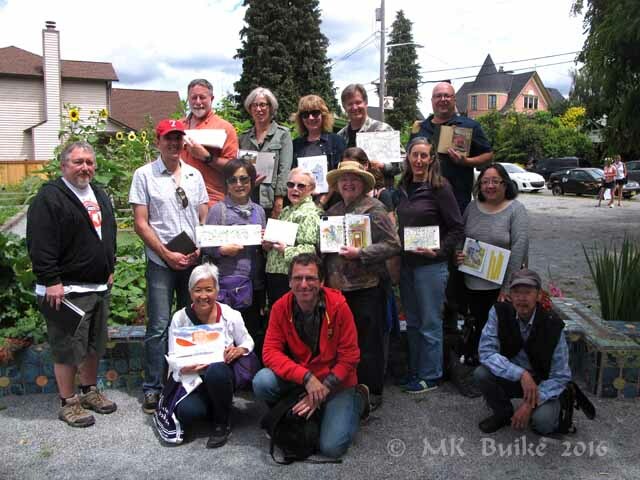 Back to Oxbow Park for our group photo. We welcomed Arthur, a visitor from New York. And my Portland friend, Wanda, also joined us.